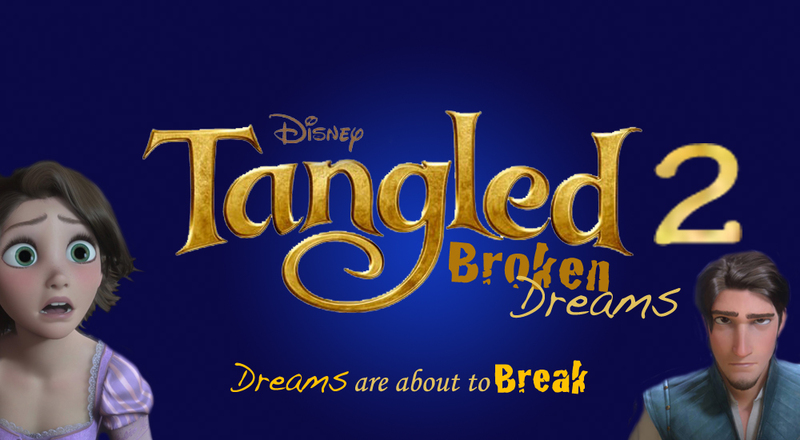 Raiponce 2 Broken Dreams. IF U WANT TO KNOW WHAT THIS MIGHT BE LIKE LOOK IN commentaires. HD Wallpaper and background images in the Raiponce club tagged: tangled rapunzel disney eugene fan made tangled 2. This Raiponce photo contains portrait, headshot, gros plan, and closeup. This is what my title will be if i ever work for Disney and this will be the 2nd Tangled movie. After Rapunzel and Eugene come back from their honeymoon something happens to both of them....they get captured and Eugene gets hurt really badly and Rapunzel can't cure it bc she doesn't have her magical hair so she has to face it and cure it herself and she has to go on this big adventure with Eugene to find the cure before its to late. And during the story Rapunzel tells Eugene she's pregnant. -wish me luck and i hope u like it if i make it. But Nathan Greno and Brian Howard are going to be the directors.....im just going to be the creator and do the animation. Yeah it sounds good but I think its going to be about Eugene coping with his life as king and somehow he gets blonde hair because Rapunzel sort of dies during childbirth and he cures her and the unborn baby. Of course their daughter gets kidnapped and Rapunzel accidently gets her long blonde hair back again. Sorry, but I don't really like that idea lisaforde2. I prefer 12rapunzel's idea. Very imaginative though.